Close to perfection in an everyday object. Wegner’s 1943 paper basket has strict and contained geometry, the paper basket is perfectly in tune with the style of mid Century Danish architecture. 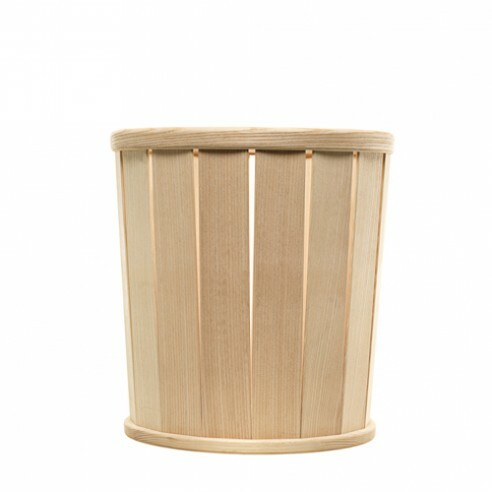 The design of the basket is simple and obvious, as are the demands for accuracy in the details and quality of the material. Mchined from a single piece of wood, thoroughly dried, assembled, thouroughly sanded, soap treated, the basket is a window into the extraordinary respect and enthusiasm for wood that thrives within the workshop of PP Møbler when producing even the most basic object.